Since our last meeting we received a letter from the IRS determining that we meet all of the criteria for a community charity. 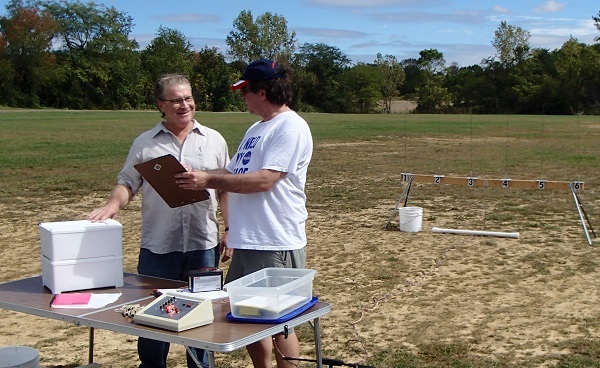 The Central Ohio Rocketry & Spacemodeling Alliance is officially recognized as a 501(c)(3) non profit corporation. Ok, perhaps not big rocketry news, but it in 6 months we have completed all of the necessary filing to be a fully compliant non profit corporation. This opens a lot of doors as we move forward with other community and non-profit activities. There has been progress on securing a partnership for a LPR/MPR field that will be available once a month year round. We need to start building our community outreach now. We are going to start with a focus on the schools and youth organizations that are nearest the site. We can’t use the site without it being a benefit to community and the community can’t use the site until arrangements are final. It’s a bit of a cart/horse, chicken/egg situation but we feel strongly that both will come together in time. 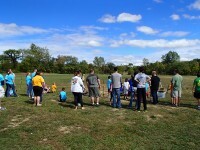 Our rocket topic was an overview of the Open Rocket application. This is an open source application which costs nothing to download and use. 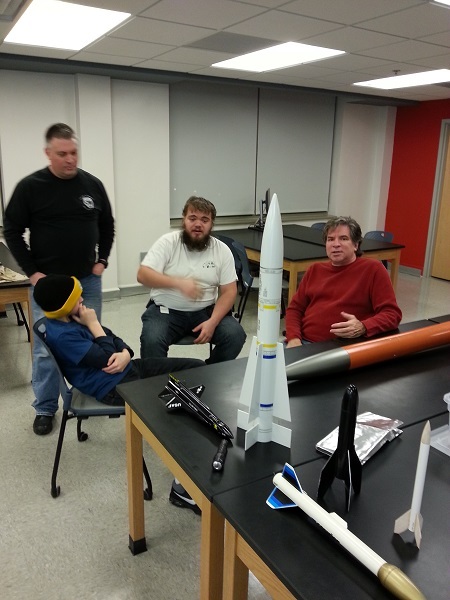 Ed gave a presentation on its’ basic schematic features, how to build a rocket and model its’ flight. The application is easy to use and feature rich. There wasn’t enough time to explore all its’ features. This will be a topic we’ll visit again and focus on specific elements of rocket design and flight models. The last hour of the meeting was spent in open discussion. Ed brought the book Rockets of World by Peter Alway. 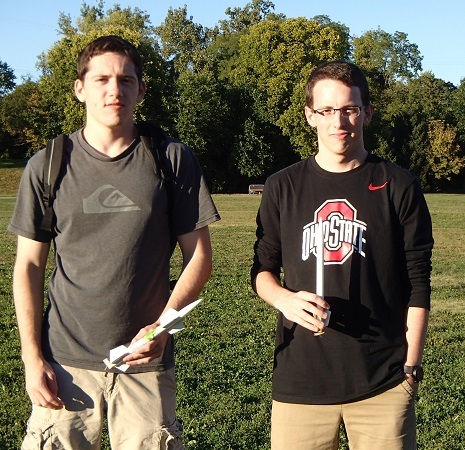 Erich Z. shared a balloon rocket launch design that one of the OSU aeronautics seniors is doing for his senior project. If it’s successful, it will be the first time a rocket will have been launched at 100,000 ft.; previous launches have been attained heights of approximately 30,000 ft. Michael K. shared some ideas he has for on board electronics although nothing specific was discussed. Lloyd N. asked for some input on adding a payload bay to an Estes Pro II Partizon. The rocket has a unique 2.5″ body tube which is between BT-70 and BT-80 so it will involve design and construction using custom parts. Paul D. joined our meeting via a Google Hangouts video meeting link. This was CORSA’s first utilization of “remote attendance”. There were a few bugs but we are going to continue to work on this delivery method as an alternative for members who may be on the road for work or otherwise unable to attend an opportunity to participate without being present in person. We still encourage members first and foremost to attend in person as there are too many hands on elements that can’t be duplicated virtually. We had a special guest drop by at the beginning of our meeting! Dr. David Robertson, Physics Professor at Otterbein University, stayed after his last class to see how we liked our “new digs”. Dave shared his appreciation of our alliance and thinks that more students will get involved as word spreads of our presence on campus. Oh, and we REALLY appreciate our “new digs”. We have narrowed our LPR/MPR launch site search down to three possibilities. Lloyd has already begun contacting the municipal entities that own the sites. While we all have “go fever” it’s important for us to stay focused on securing a site as a responsible community partner. We will not fly without permission and then ask for forgiveness. We are taking the responsible and more challenging path of building alliances with land owners (public and private) to secure sites we can use on a consistent basis. It might take a little longer to secure a site, but in the end we will have a working partnership that hopefully should ensure we can remain welcome guests for the long run. Our rocket discussion was “Hidden Gems of the NAR Web Site”. We reviewed logging in and how to update our personal information. The members only access to R&D reports had members ooing and ahhing until we had mental overload. There is SO MUCH information in this area it would take months to read it all. 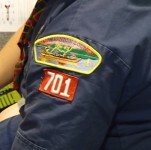 The safety area of the web site has been updated and provides easy access to a lot of valuable information. Most of the reports are on high power safety but the principals found within them can be applied to low and mid power as well. 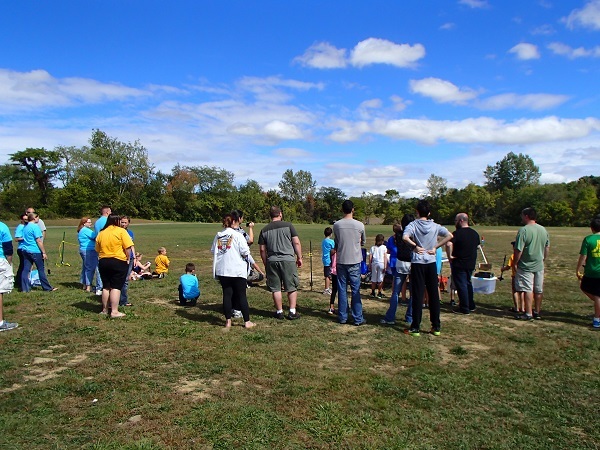 In the education area we had a brief review of the NARTREK program and TARC which will be a major outreach objective once we have a launch site. Last, but not least, we explored the competition area. 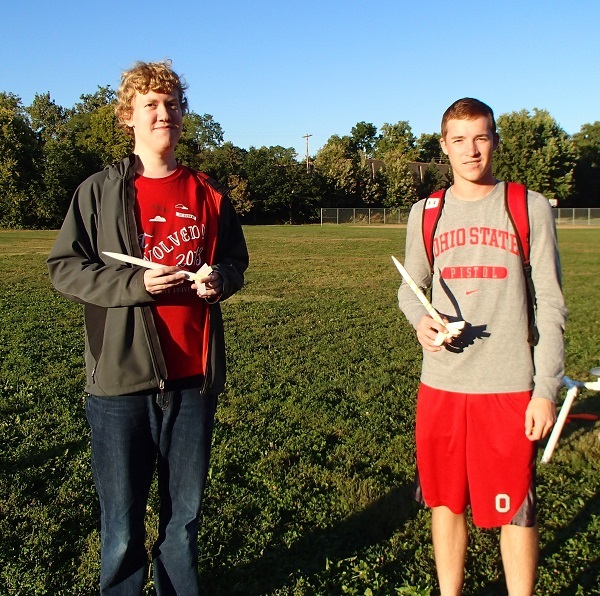 Members with the rockets that were brought for show and tell. We started the New Year in our new home at Otterbein University. We want to express our gratitude to the University, the Physics Department, for the use of the facility, as well as Drs. 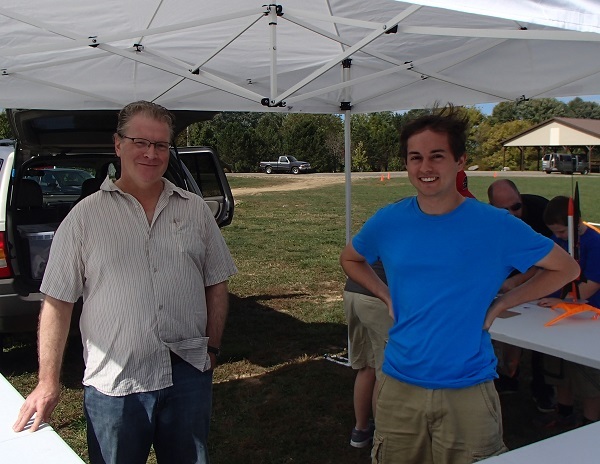 David Robertson &and Aaron Reinhard of the Physics Department for meeting with us in November and opening the door for this new community alliance. THANK YOU!! 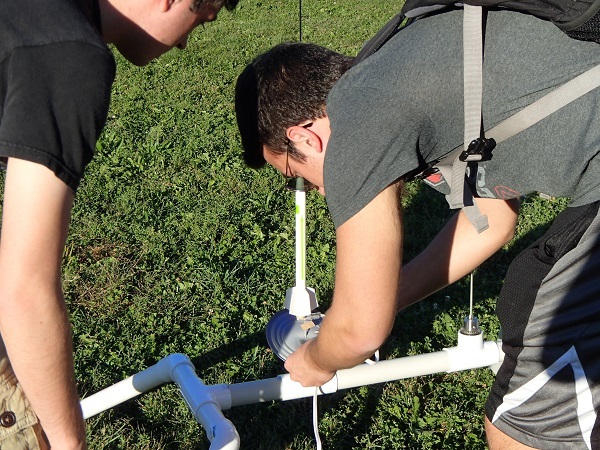 We have been looking for and at fields in the central Ohio area that are at least 1,000 ft. on their smallest side for low power and mid power rocket launches. We have identified some sites and are preparing to contact the land owners. 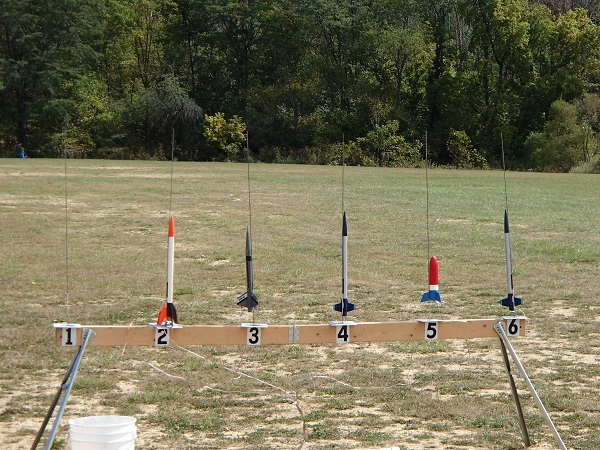 Members brought their favorite rockets that they have built over the years. Michael N brought an Estes Baby Bertha. Joe P. brought his Phoenix and X-15 rockets. Lloyd N brought a Quest Courier and shared his favorite scratch built parachutes and streamers. 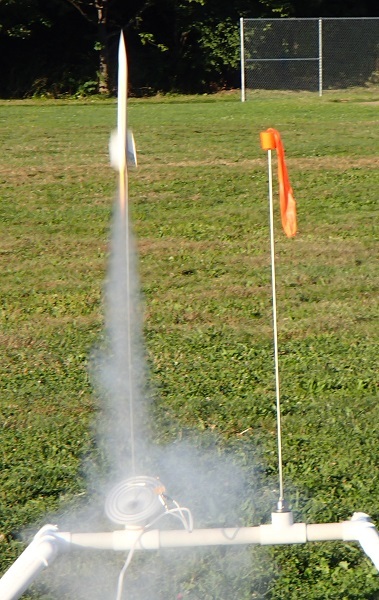 Ed H. shared the”BIG ROCKET” he used for his HPR2 certification. 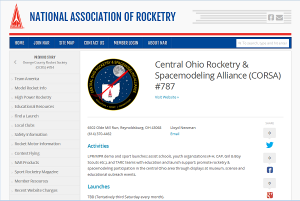 A screen capture of the Central Ohio Rocketry & Spacemodeling Alliance on the NAR Club Locator page. 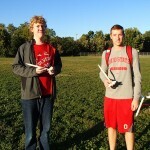 Our charter application has been accepted and approved by the National Association of Rocketry. Isn’t that great?! Sure! Exactly what does that mean to you though? 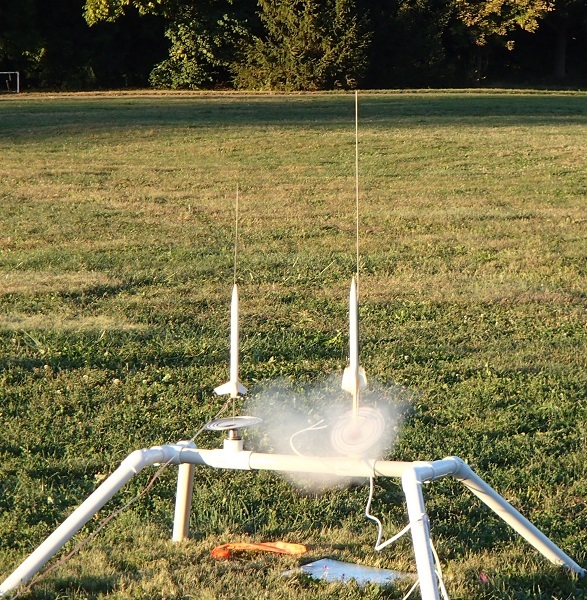 If you’re a land owner or land operator interested in supporting rocketry by allowing your lands to be used as a launch range, we can offer insurance to you through our NAR charter. NAR members may choose to join CORSA with the assurance that we uphold and maintain the same level of quality and safety as NAR. HPR NAR members can be assured the section will keep and maintain an FAA waiver for our launch ranges (when we secure them). You know your competition points will count when you participate in our NAR sanctioned competitions. Last, you know you’ll be connected with other NAR members and not a bunch of flash-bang rocket locos. 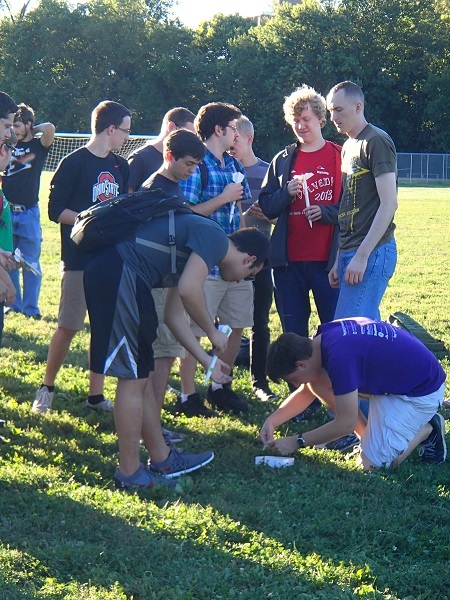 We will take our responsibility to the central Ohio community seriously, offering support to NAR partner organizations like Team America Rocketry Challenge teams, 4-H and the Civil Air Patrol. 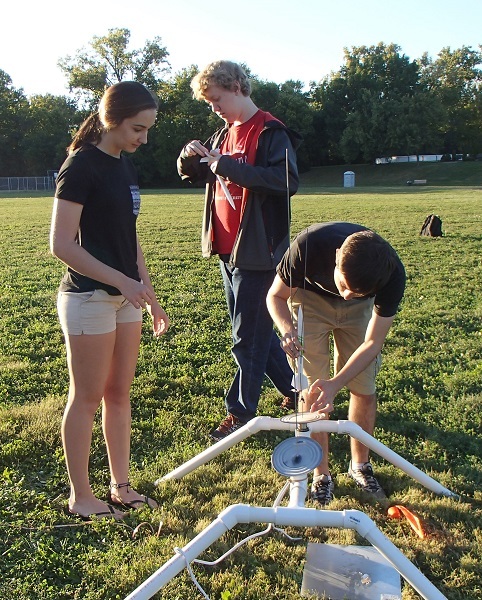 We’re dedicated to the spread of rocketry through education and launch support for civic clubs and non-profit youth organizations such as Girl Scouts, and Boy Scouts. 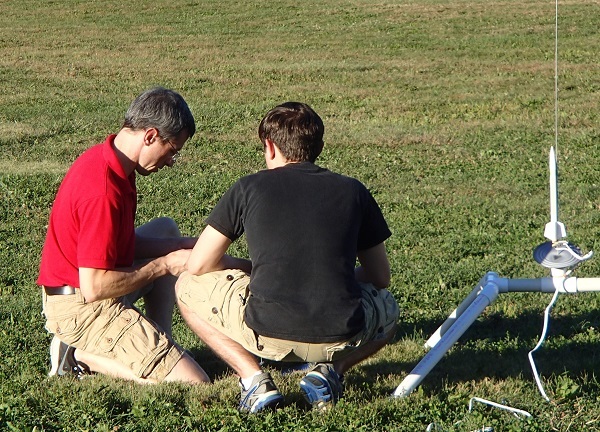 Last but certainly not least we’re here to provide NAR quality guidance and support to individuals regardless if you’re just starting out in rocketry or a long-timer, short-timer or BAR looking to get involved again. We are grateful to NAR for allowing us to be a chartered section and look forward to the opportunity to carry out the NAR mission in central Ohio.